LOCKLINE200.000 were killed at Sobibor. Nazis closed it in 1943, covering up their killings. What remained sank into the ground. Waiting to be excavated. 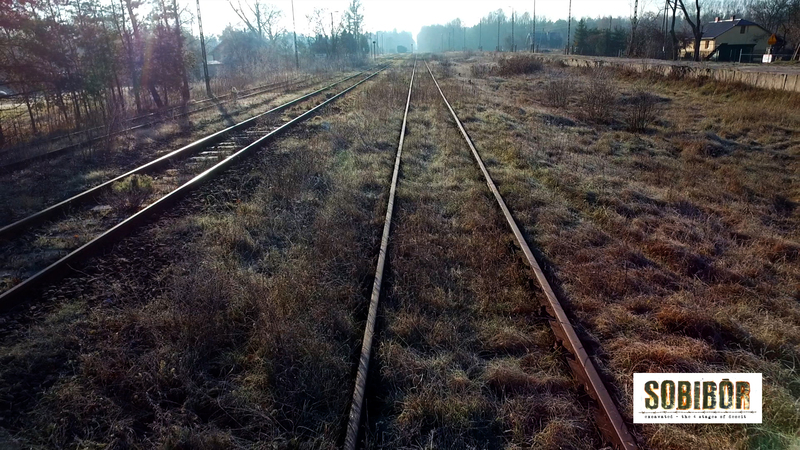 Sobibor Excavated, the 4 stages of deceit - Teaser from Mark Limburg on Vimeo. Sobibor Excavated – The 4 stages of deceit is a documentary in 4 chapters in which the treacherous and misleading character of extermination camp Sobibor is exposed. 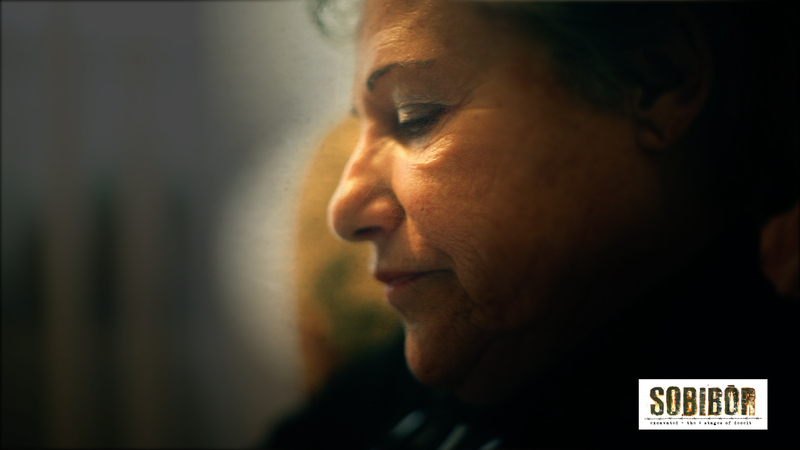 There's the story of Rudie, who lost his mother at Sobibor when he was only 4 years old. He can't remember how she looked, how she talked or moved. All that is left is a farewell-letter she wrote during her transport to Poland and threw out of the train. The train who transported her to her death. " I'm in the train to Poland...I'll pull through...this is a farewell-letter...Goodbye my love.."
The story of Lies who's 8 year old cousin was murdered in the camp. While always playing together in early childhood they developed a special bond with each other. David always watched out for here, like the big brother she never had. She got away while being rounded up in Amsterdam, only 4 years old. And although he was killed instantly upon arrival in Poland he stayed with her all of her life. So it seemed like a sign of heaven when she got a call in 2013. Archeologists excavated his name tag deep from within the ground of Sobibor. From then on there was only one wish: touching the name tag to somehow give a fitting ending to a 70 year long greeving period. But the nametag can not leave Poland according to Polish law and it is emotionally to heavy for her to go there. And then there is Sobibor itself. 'Born' in 1942 in Wannsee, Berlin. In 70 years the site has lost nothing of its treacherous and misleading character. It looks exactly how the Nazis wanted it to look: like a beautiful and innocent forest with nothing but trees, birds and silence. 'The silence is very symbolic' says Polish archeologist Wojchiek, who together with Israeli archeologist Yoram Haimi (who two uncles were murdered here) started digging in 2007. Slowly but surely they reveil the true character of the camp. In 1943 burried by the nazi's under thick layers of asphalt. In 2013 they discovered the remains of the gas chambers and piece by piece they complete the puzzle that combined form the heart and soul of this 'theatre of death' as one of the archeologists says. Three strories interwoven in a 60 minute film. About what happened then still playes a big part in the everyday life of the surviving relatives. Me and my crew are supported by the Dutch Sobibor Foundation and EO Dutch Public television. When we started this project in 2015 we soon found out that Dutch Public Television funding would be a long and tedious road. Taking away the power and energy to 'create'. And because the people in our film would not be getting any younger we decided to go for it. We took a liberating exit from the long long highway of Dutch Public Television funding and just started. We think it is important that this film is made. That stories about the Holocaust are told. Again and again. For every new genaration. Especially in times like these it is important to show new audiences to what horrors populism can lead and what happened there in the 40's, on the outskirts of Europe. Hidden in the thick woods of Poland. Far away from civilisation. We would like to raise € 25.000,- with this campaign. This money will be used for travel expenses for necessary final shoots in Berlin, Poland and Israel. As well as on post production (edit, sound, colouring). Proud father of five and maker of hundreds of productions. Varying from awardwinning short drama and corporate films to tv programmes, commercials and documentaries. Unschooled camera magician with his special 60's lenses. Hopelijk wordt het streefgetal gehaald. Fantastisch initiatief, moeilijk maar wordt zeker bijzonder gewaardeerd. Heel veel succes. Dank je voor het zorgen dat deze misdaad niet vergeten wordt. Feiten zijn nodig om te zorgen dat de namen van mijn familie en hun medegevangenen niet verloren gaan. Dank u voor uw initiatief! Blessings! Ik hoop van harte dat er voldoende financiële steun zal komen. Een deel van mijn familie is vermoord in Sobibor: dit is een kleine bijdrage aan hun herinnering. I'm a friend of Rick Strooper. Your project looks fascinating. I'll try to help you from the US. If you can think of anything you need in addition to funding, please let me know. Een waardig initiatief, dat in deze huidige duistere tijden in Polen des te meer steun verdient. Amazing project! That is an unprecedented way to keep the memory alive and to preserve history... I can't wait to see the final movie! Best wish to the team and to the project! Zo'n beetje de hele familie van mijn vrouw is op 16 april 1943 vergast in Sobibor. Wij vinden het ongelofelijk belangrijk dat haar familie middels deze film een stem krijgen en dat hun verhaal op deze manier verbeeld gaat worden. We zijn je ontzettend dankbaar hiervoor! Ik sponsor deze documentaire heel graag, vooral voor mijn Opa Barend Hagenaar die op 21 mei 1943 is vermoord in Sobibor. Mijn vader en ik hebben er ook een steen laten plaatsen omdat we verder helemaal niets van hem hebben geen foto echt niets. Maar ook voor de andere familie leden die wij door deze onzinnige oorlog nooit hebben mogen leren kennen. Heel veel succes verder met het bijeen brengen van het geld en tot stand brengen van deze documentaire. Met vriendelijke groet Petra Hagenaar. Ik hoop dat het project doorgaat. Dit is heel belangrijk om niet te vergeten voor ons, onze kinderen en kleinkinderen. Alle kleine beetjes helpen, zullen we maar zeggen. Succes back aller backs, dat maar een prachtig document mag worden. Groet, je aanvoerder voor het leven. Alleen de beelden van de trailer laten al zien wat een geweldig bijzonder product het gaat worden! Honoring those who had their voices silenced and their lives stolen, including some of my family. IBAN bank info wordt niet geaccepteerd, alleen een ouderwets nummer. Succes met de film maken! Ik vind de camerabeelden nu al prachtig. Succes met de funding! Beste donateurs. Het was nog even spannend maar de laatste dagen is er massaal gedoneerd en is 't dus gelukt om het streefbedrag te halen. De grote hoeveelheid steunbetuigingen die we hebben mogen ontvangen gedurende de 40-daagse crowdfundingcampagne en het uiteindelijke succes ervan ervaren wij als zeer motiverend. Naast dat het superfijn is dat zoveel mensen in ons project hebben geinvesteerd was met name de betrokkenheid van onze supporters hartverwarmend. Uiteraard waren we al supergemotiveerd om een prachtige documentaire te maken maar het werkt extra motiverend als je merkt dat je er niet alleen voor staat. We kunnen nu door. En we gaan ook door. Deze komende week al staan er nieuwe opnames gepland in Majdanek en Sobibor. Daarna stomen we door met de montage. De rewards zullen voor het grootste deel worden uitgereikt als de film voltooid is (eind okt/begin nov). Een documentaire maken is soms best een eenzame bezigheid, maar om te weten dat er zoveel mensen dit project steunen is een geweldig gevoel. Veel dank. We werken hard verder en houden u op de hoogte. Nogmaals dank aan alle donateurs voor hun steun. We zijn er echter nog niet en kunnen alle steun gebruiken. Hoe klein ook. Het is belangrijk dat verhalen als deze verteld blijven worden. Deel de link naar ons project dan ook met zoveel mogelijk mensen. Veel dank. Thanks again to all our supporters. We are not there yet and still need all the support we can get. No matter how small. It is important that stories are being told. Share the link to our project with as many people as you can. Many thanks. Terug naar 1942. Lies arriveert in de Hollandse Schouwburg, samen met haar familie en haar neefje, Deddie. Wat kan ze zich daar nog van herinneren? Back to 1942. Lies arrives at the Hollandsche Schouwburg, together with her family and her cousin, Deddie. What can she remember of it? Thank you for your support! You receive a link to the film and a special 'thank you' credit in the end credit title roll. What a great gift! You receive an unique film postcard signed by the director sent to your home and all of the above. Amazing! You receive a personal thank you call from the director and all of the above. Fantastic! You will receive a ticket for a visit to National Monument Camp Vught and all of the above. Whoa! Great! You receive an invitation to the premiere and all of the above. What a great donation! We would love to invite you for a meet & greet with the crew at IDFA 2017 and you receive all of the above. Many many thanks from the entire cast and crew! You receive an invitation to join us on a shooting day and all of the above. We send you much love! You receive a seat at the post (or pro) premiere crew dinner table and all of the above. We can't thank you enough! You are cordially invited for a preview at an exclusive location plus dinner with the entire crew. Of course you also receive all of the above. 123 supporters have contributed to this project!